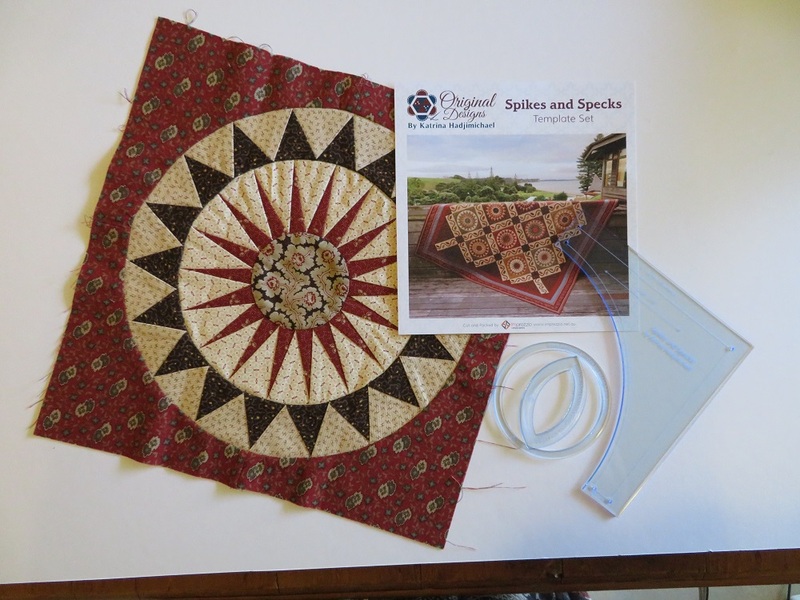 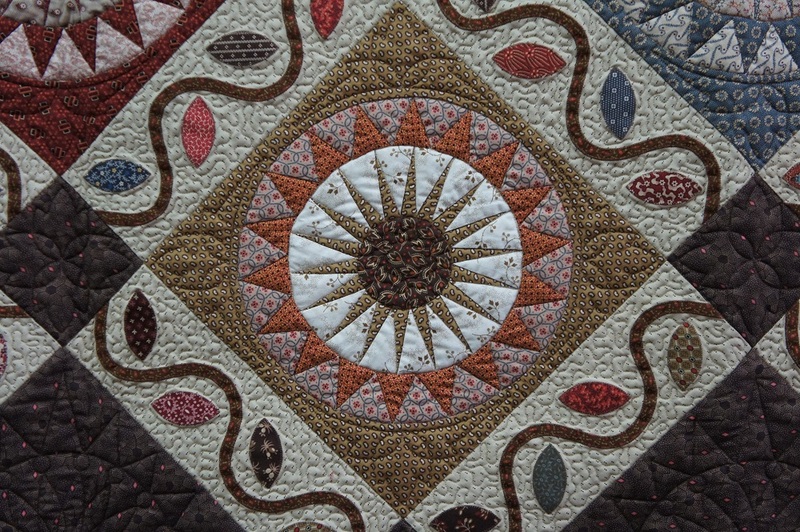 This is the first in a series of booklets incorporating detailed typed instructions and informative photographs of every technique and process required to complete this beautiful quilt. 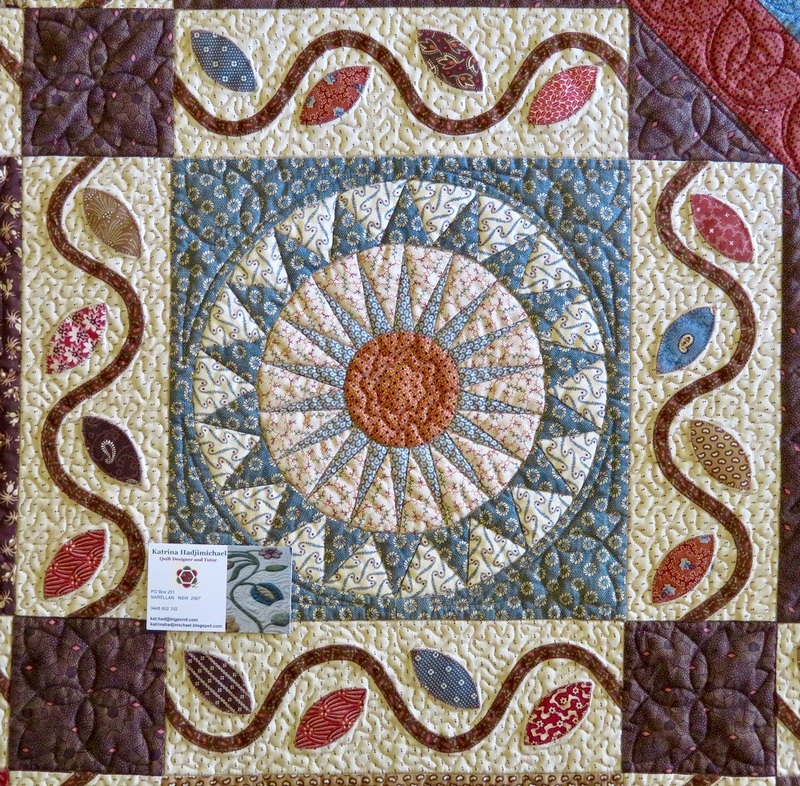 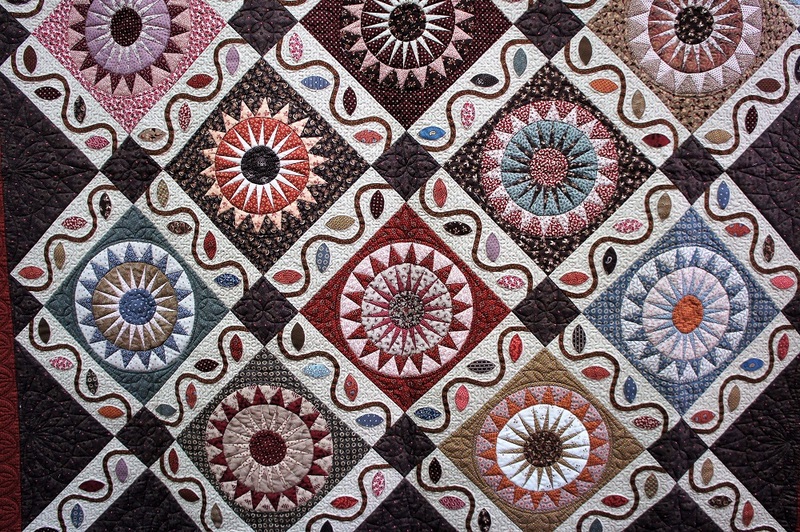 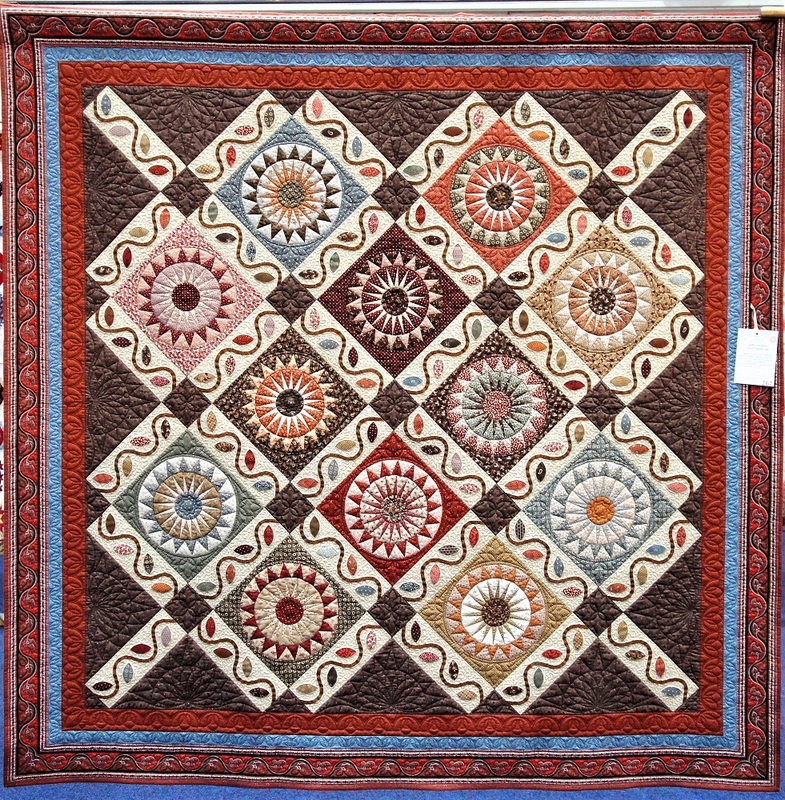 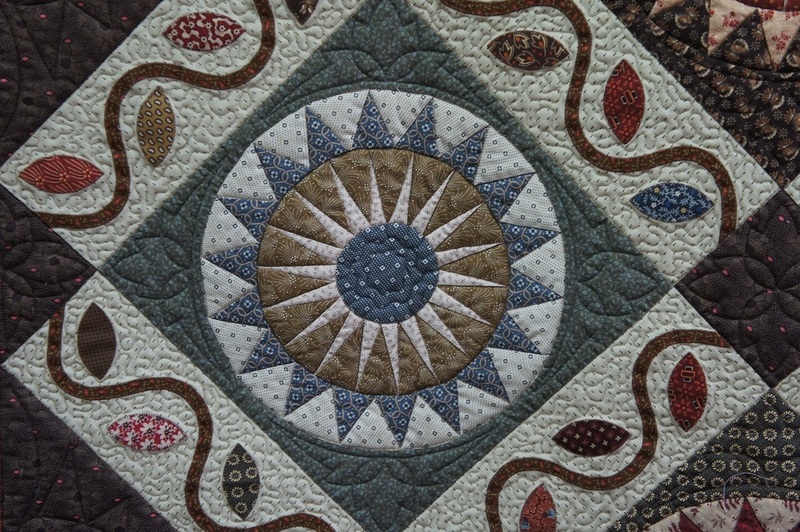 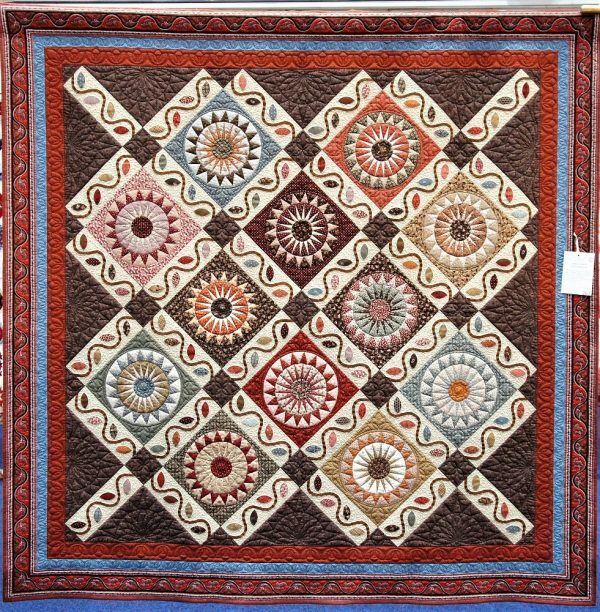 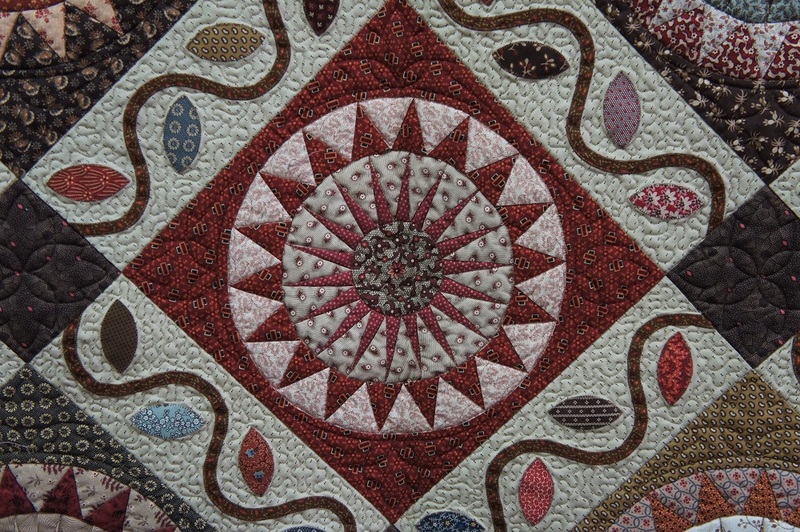 The quilt comprises twelve foundation pieced circular “spikey” blocks separated by sashings of machine appliquéd vines and leaves. 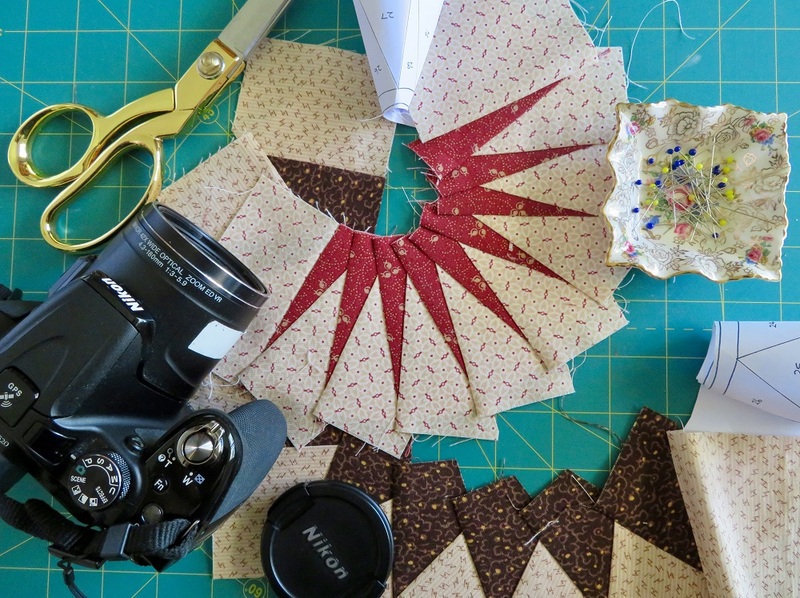 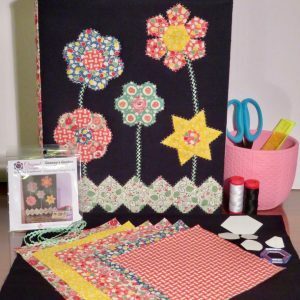 Learn my easy paper foundation piecing techniques and improve your machine appliqué skills using this unique pattern booklet. 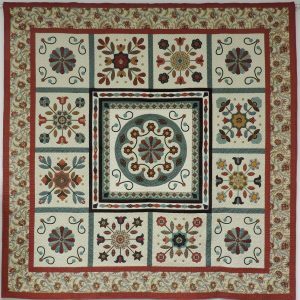 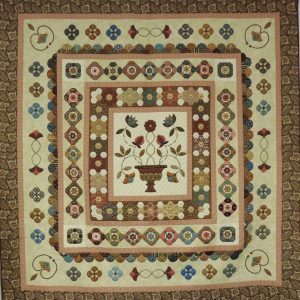 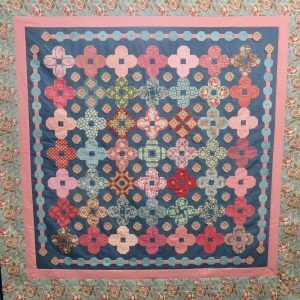 This pattern and template kit includes three perspex cutting templates made specifically for this quilt.